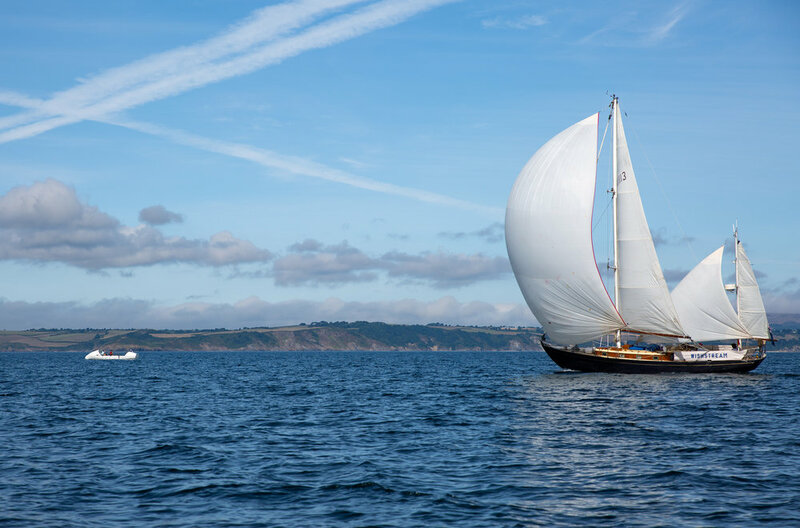 How fitting that Atlantic Discovery chose the world's first open ocean lighthouse, Eddystone Lighthouse, situated nine miles off the Cornish coast, to complete their qualifying row for the Talisker Whisky Atlantic Challenge. 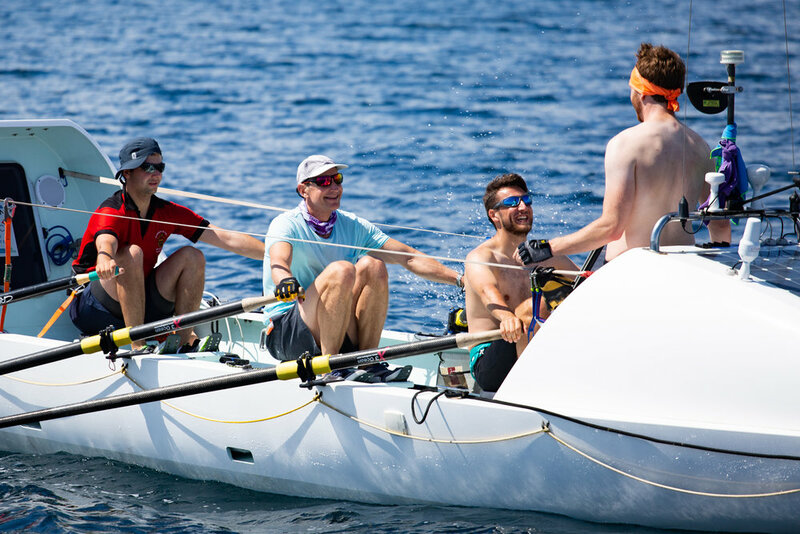 The race requirement is that each crew must have rowed their boat for a minimum of 96 hours (24 hours of this in the dark) and tested all their equipment, before shipping their boat to the start line in La Gomera. 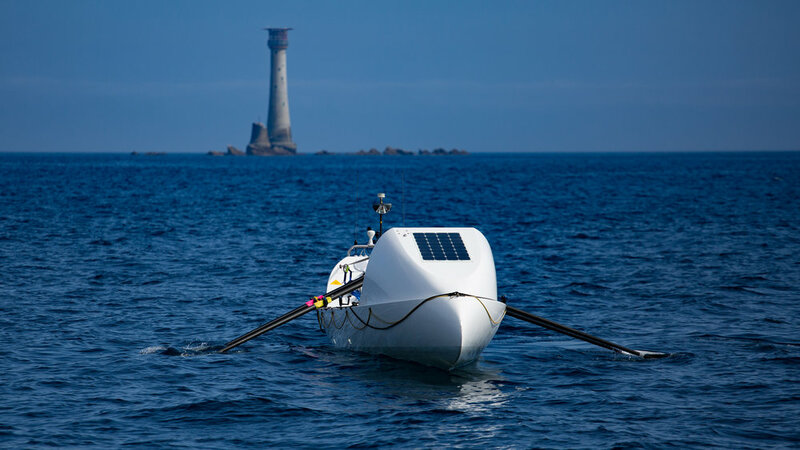 The team had logged 67 hours on several rows along the Dorset Coast, but decided to finish their mandatory training viewing the seascapes along Cornwall, which is also Jack's second home. Ben celebrated his 25th birthday on the oars - yay! I was fortunate to be out on the water too, as a guest aboard Nirvana, a lovely little yacht desperate to sail in the windless conditions, but who resignedly pottered along under power. We tried our best to keep up with Atlantic Discovery, even putting out the spinnaker, but she stayed ahead of us. Hey! What's going on here? Oh, Cam needs a spoon from Nirvana to eat his food. Fortunately, mother nature didn't disappoint (she never does) and delivered on the soul food big time. Sea birds a-plenty, dolphins, a whale and hundreds of merry-go-round lit jelly fish hanging just beneath the glassy sea surface. Martin (Jack's dad), swears he heard a submarine and saw a periscope pop up, but Skipper Mike and I glanced at each other and told him to put on his sunhat. It was a wonderful, relaxing weekend and I spent a lot of time observing the boys from a distance. They seem so happy, so in their element. You can't help but smile when you see them together. I love seeing the bonds they are forming with each other. 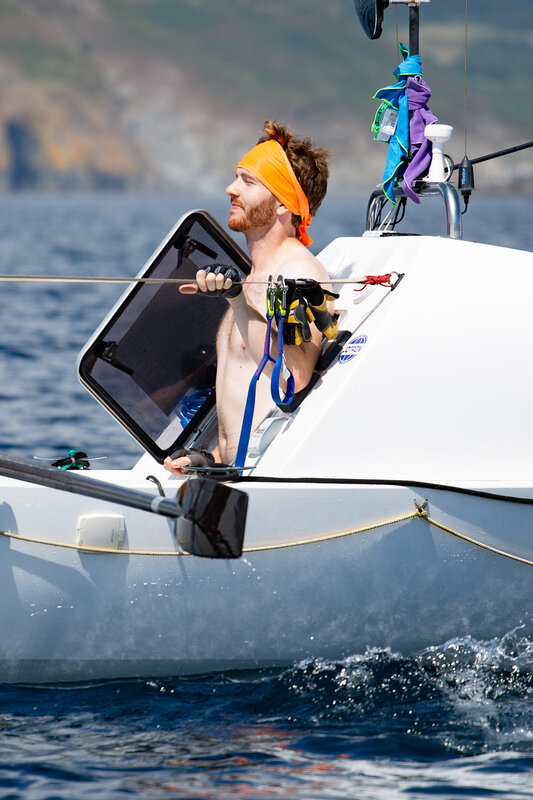 Will they end up lifelong friends after the row, or will they have spent so much time in close proximity crossing the Atlantic that they head off in different directions after the challenge is over? It will be interesting to see what happens. Will they end up friends for life? Perspective: Wind power versus muscle power. Out of the water, it was back to business. The next step was preparing Ellida for her Advisory Inspection - also a mandatory process managed by race organisers Atlantic Campaigns and driven by safety. 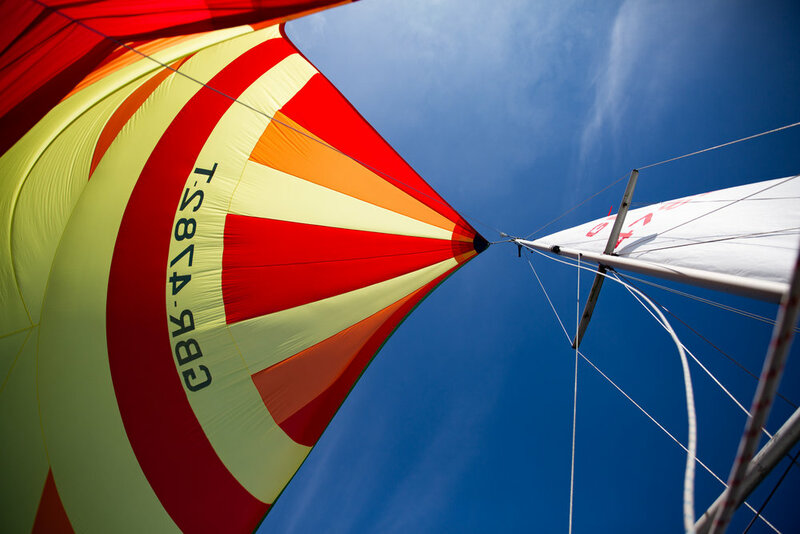 The checklist is extensive (around 400 entries), covering everything from sunglasses and sunblock to navigation charts, emergency equipment, medical kit and essential spares, to name a few. To cover off the checklist, preparation is key and the boat was stripped and repacked to make the inspection as efficient as possible. A big shout out to Lee Fudge from the Atlantic Campaigns team for the amazing support and advice given to the team during the inspection and making it such a positive learning experience. Wow! Unbelievably the four-month marker is upon us. The team are training in earnest and modifying their diet and lifestyle to try and prepare as well as they possibly can for what will undoubtedly be the biggest challenge of their lives. Watch this space @virtualstowaway Penny Bird is a professional photographer and writer documenting Atlantic Discovery's incredible journey.